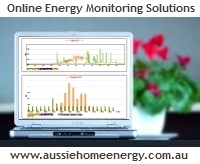 Home Energy Monitoring Solutions from Aussie Home Energy, offer you not one home energy monitoring dashboard but three! Depending on what data you want to see, on what device and where from, your choices are pretty much unlimited. Importantly the manufacturer's dashboard is FREE for all channels of data. Call us today on 02 8064 3992 for more information.